I’m begging and pleading with you to obey the Gospel of Jesus Christ. Obedience to Jesus is a no brainer. You know….Lord of lords and King of kings should receive nothing less. 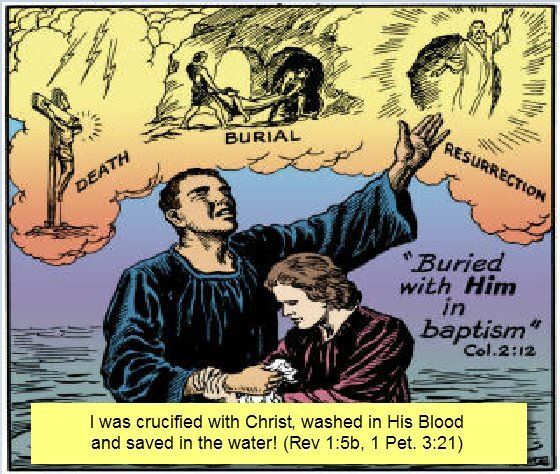 So if you would be saved drop the Lutheran “faith only” and the Calvinistic errors and just follow Jesus in simple obedience….It’s truly not ever been about earning salvation, but that’s the scary accusation that keeps people from doing what Jesus actually said to do. Satan should not be so crafty as to hinder you from seeing that repentance, confession, and adult baptism are necessary for remission of sins. So I am pleading with you to obey today. Please I’m begging you….